A chorus unit: A chorus unit makes your bass sound like two basses played simultaneously. 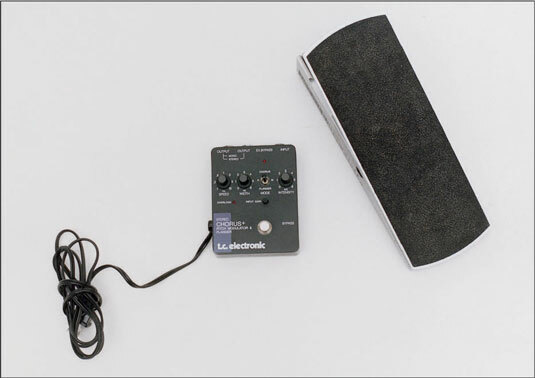 A volume pedal: A volume pedal lets you adjust the volume with your foot, even in the middle of a tune. If you still have some cash to burn, get a good headphone amp (an amp that allows you to hear your bass over headphones). With one of these, you can play at all hours of the day or night without disturbing anyone. A wide variety of headphone amps are available, ranging in price from $30 to $300. The better the unit, the better your sound — and the more you’ll want to practice. Some headphone amps (like the JamHub) even enable you to plug in with your guitar-playing friends, and you can all rock out without waking the family dog. You can find most of these items at any large music store. 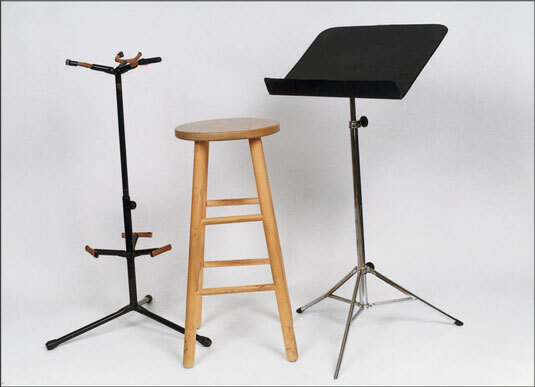 You may have to buy the stool from a furniture store and the headphone amp online, but the really large music stores usually have everything you need.